Southampton University Shōrinji Kenpō dojo is a Martial Arts School offering Shōrinji Kenpō classes in Southampton, UK for kids, men and women. Southampton University Shōrinji Kenpō dojo is Located at The SUSU building. View a Location Map, get Directions, Contact Southampton University Shōrinji Kenpō dojo or view program details below. 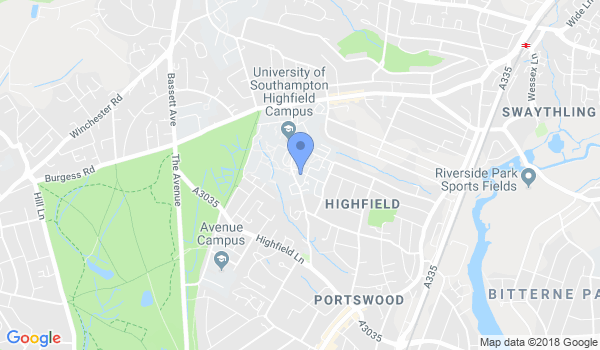 If you are a student at this school, help your local Martial Arts Community by writing a Review of Southampton University Shōrinji Kenpō dojo. You can also help your school by sharing it on Facebook, Twitter, Google+, Pinterest etc. Ages - 16 and over only. Costs vary - employed - £5 per session, students full time education £3, unemployed/low income special rates negotiated. Would you like more information on hours, classes and programs available at Southampton University Shōrinji Kenpō dojo? Please contact the school with your questions. Update the details, Write a Review or Report Error of Southampton University Shōrinji Kenpō dojo.